Florida Philanthropic Network provided a strong voice for Florida philanthropy in Washington, DC a few weeks ago when we led our state’s delegation for the 2015 Foundations on the Hill event. The Florida team held 23 meetings with members of our state’s congressional delegation and their staffs, where we stressed to them the value and impact of philanthropy in our state. 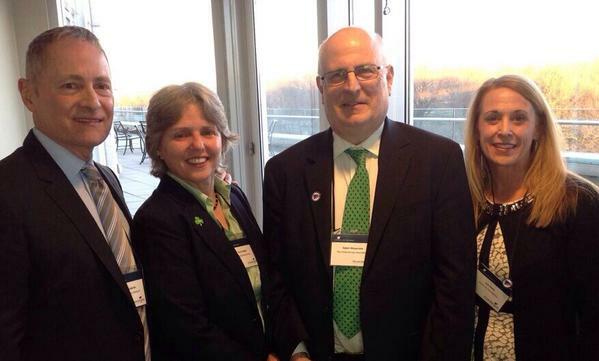 FPN President & CEO David Biemesderfer (l) was one of the speakers for the kick-off of the 2015 Foundations on the Hill and Philanthropy Week in Washington, along with (l-r) Sherry Magill, President of the Jessie Ball duPont Fund and a founder of FPN; Adam Meyerson, President of Philanthropy Roundtable; and Sue Santa, Senior Vice President for Public Policy and Legal Affairs at the Council on Foundations. 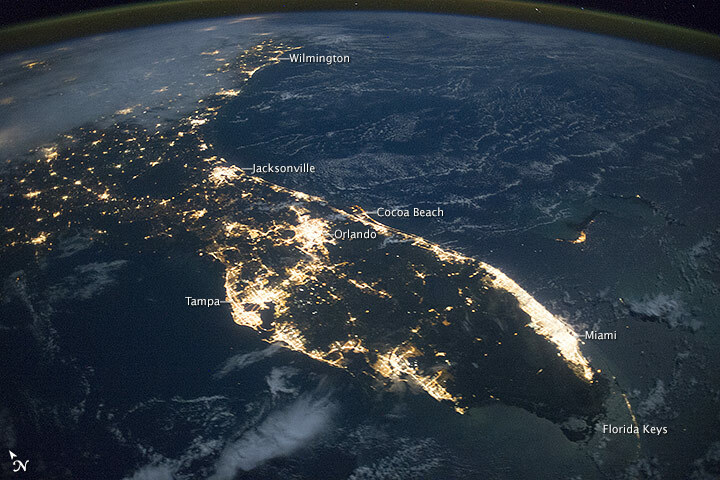 The Next Big Conversation in Florida Philanthropy: How Are We Preparing for Sea-Level Rise? The theme of Florida Philanthropic Network’s 2015 Statewide Summit on Philanthropy, which is being held on January 29-30, is “The Next Big Conversations in Florida Philanthropy.” In the spirit of the Summit’s theme, this post is part of a series where we’ve asked some of our member leaders to share their thoughts on the next big conversations that should be taking place in Florida’s philanthropic sector. For more information on the Summit, visit www.fpnetwork.org/summit. Thank you to Dr. Mark Pritchett, Senior Vice President for Community Investment at Gulf Coast Community Foundation, for sharing his thoughts on the next big conversation in Florida philanthropy. Thank you to Joanne Cohen, Vice President of Philanthropic Services at The Community Foundation for Northeast Florida for sharing her thoughts on the next big conversation in Florida philanthropy. 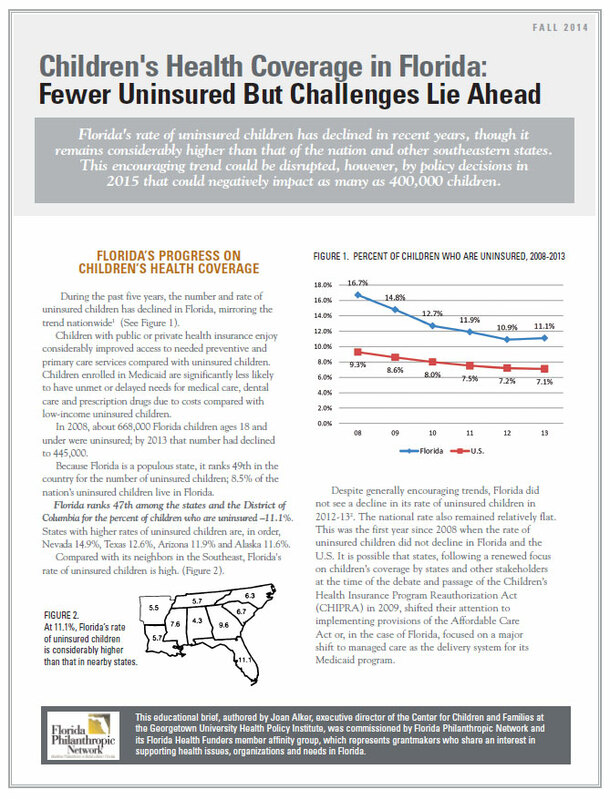 Last week Florida Philanthropic Network and our Florida Health Funders member affinity group released an educational brief on the state of children’s health coverage in Florida. 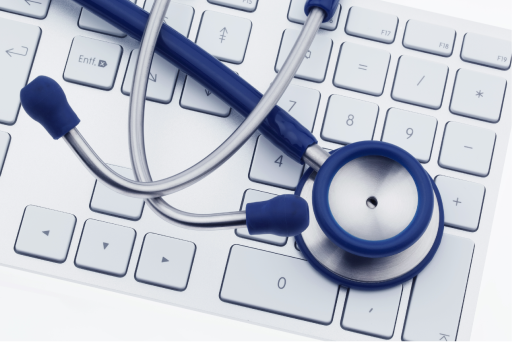 Anyone who cares about the health of Florida’s kids needs to know the information covered in the publication. Thank you to Eric Kelly, President of the Quantum Foundation for sharing his thoughts on the next big conversation in Florida philanthropy.